Add a new level of safety and convenience to your vessel with the Garmin AIS 600 transceiver. 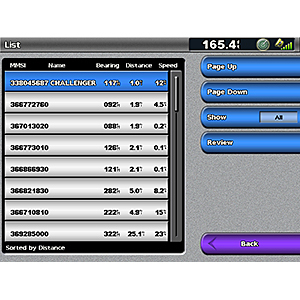 This black box AIS transceiver allows you to receive AIS target data as well as transmit your own vessel information to other AIS receivers in your area. The AIS 600 aids in collision avoidance by helping you track and contact anyone in the area with an MMSI number. Whether you’re keeping in touch with mariners in the area or tracking other boats on a similar course, you’ll be able to share information between vessels for improved safety and greater confidence on the open waters. 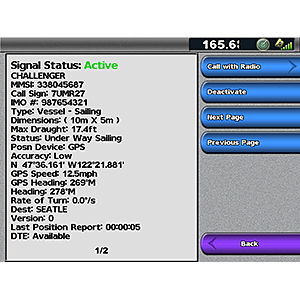 The AIS 600 also employs ClearTrack™ technology, which ensures there’s no interruption of AIS traffic position while the VHF radio is in use. 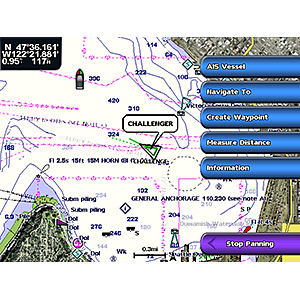 In addition, the AIS 600 integrates with a Garmin chartplotter and VHF radio via NMEA 2000®, giving you the ability to initiate a call to any MMSI target directly from the chartplotter by selecting the ‘call with radio’ function. 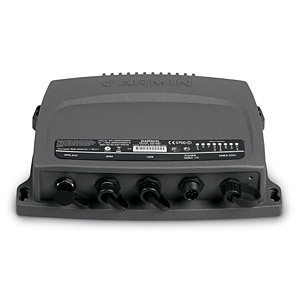 The AIS 600 is NMEA 2000 certified and is easily added to your existing Garmin marine network. Once installed, the AIS 600 is controlled via chartplotter display. You'll have all the information you need right at your fingertips to make decisions with confidence. In addition, the AIS 600 comes with a built-in Active splitter that allows one VHF antenna to serve both the AIS 600 and any VHF radio with minimal signal loss.